Majestic waterfall which in ancient times a large serpent was said to have lived. The water cascading onto bare rocks 10 meters below is an impressive sight. Get off at JR Echigo-Yuzawa Station, get off the 'Tsunan public office(YS28)' in 44 minutes by bus from 'Yuzawa Station(YS02)'. In the transfer, get off the 'Ooakasawa(NA33)' 50 minutes from 'Tsunan public office(NA09)'. A 1 minute walk from there. 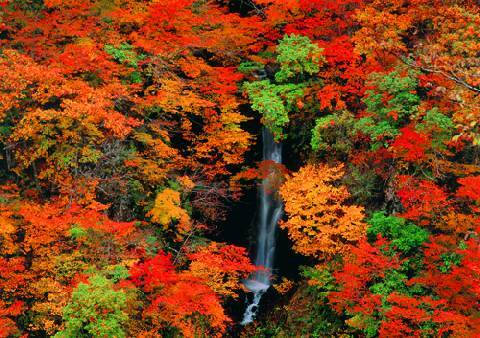 A great place to take in the autumn colors.